At the beginning of each month, fill in the calendar month with the dates, days and months. 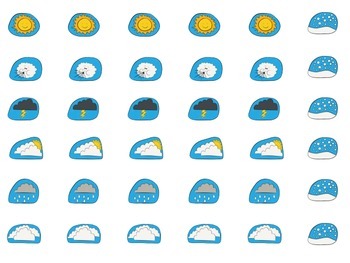 Add the appropriate weather symbols for each day as they happen. 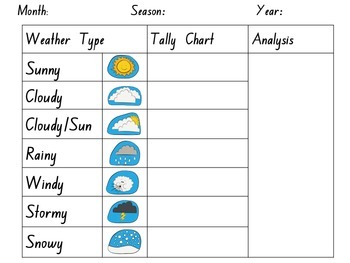 At the end of the month, tally up the results and analyse what the weather was for the month. 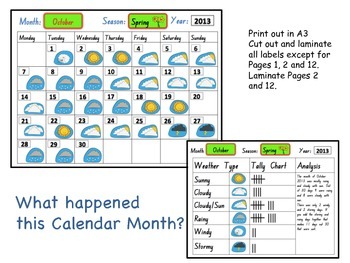 This activity will encourage students to sort the days of the month in order, check they have the right season, month and year, and finally observe the weather patterns for the month.